A Locker Room Attendant is responsible for ensuring a clean, safe and relaxing/fun environment for guests in the hotel’s continuing effort to deliver outstanding guest service and financial profitability. A Cook Supervisor is responsible for overseeing and participating in the preparation of food items in accordance with recipes and established standards in the hotel's continuing effort to deliver outstanding service and financial profitability. A Banquet Service Runner is responsible for maintaining and transporting all food products for our banquet kitchen to a designated area in the hotel's continuing effort to deliver outstanding guest service and financial profitability. Shift is 4PM to 12AM (midnight). Manage the daily operation of the team member cafeteria to include supervision of staff and monitoring the quality and consistency of food and beverage product to be served. Oversees sanitation of the cafeteria including tables, floors, food service stations, glassware, china, silverware, storage, and any other areas that have contact with food or products to be served. Trains, supervises, schedules and assists in evaluating staff. The position is responsible for greeting and serving guests beverages and/or food in the hotel's continuing effort to deliver outstanding guest service and financial profitability. Enjoy a unique hotel experience in the inspiring surroundings of the Hilton Anatole hotel. Located just minutes from downtown Dallas, TX, this hotel is in the fashionable Dallas Design District. The hotel is situated on 45 acres of lush greenery with a seven-acre Sculpture Park complete with an outdoor pool, spa and fitness center. Hilton Anatole is looking for an Executive Sous Chef to join their ranks! A Pool Attendant with Hilton Hotels and Resorts is responsible for ensuring a clean, safe and fun environment for guests at the pool in the hotelÆs continuing effort to deliver outstanding guest service and financial profitability.What will it be like to work for this Hilton Worldwide Brand?One of the most recognized names in the industry, Hilton Hotels & Resorts offers travelers a world of authentic experiences. Hilton remains an innovative, forward-thinking hospitality leader by offering best-in-class products, services and amenities to ensure that every guest feels cared for, valued and respected. 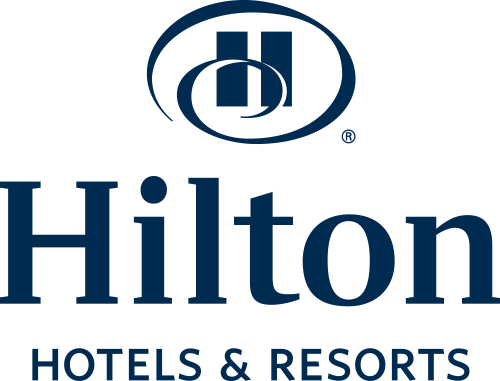 From inaugural balls and international award galas to business events and personal moments, Hilton is where the world makes history, closes the deal, toasts special occasions and gets away from it all.Hilton Hotels & Resorts is one of Hilton WorldwideÆs ten market-leading brands. For more information visit www.hiltonworldwide.com.If you understand the importance of upholding a brandÆs reputation and what it takes to provide a globally recognized hospitality experience, you may be just the person we are looking for to work as a Team Member with Hilton Hotels & Resorts. What will I be doing? Assists in supervision of fitness center operations in accordance with local, state and federal health and cleanliness standards. Participates in marketing, merchandising, programming, conducting inventory, recording and tracking financial statistics (revenues and expenses), soliciting and maintaining membership and membership records, and management duties such as interviewing, training, supervising, counseling, scheduling and evaluating staff. Conducts personal training and daily workouts. Interacts with guests in a friendly, courteous manner. A Senior Marketing Manager at Hilton Anatole is responsible for proposing and implementing marketing strategies to promote revenue growth and generation in the hotel's continuing effort to deliver outstanding guest service and financial profitability. Assists the director in overseeing all pool/recreation operations, including activities, service, food and beverage and cleanliness and functionality of facilities. Performs team member duties when business levels require. Assists in monitoring revenue, costs and financial performance. Trains, supervises, schedules and assists in evaluating staff.